It is a pleasure for me to present my book about Denmark: The Danish Kingdom: Society, History, Geography and Relations with the Islamic World. This book is the first book written about Denmark in Arabic. My intention with the book is The purpose of writing the book is to build a bridge of understanding and mutual respect between the Danish and Arabic cultures. 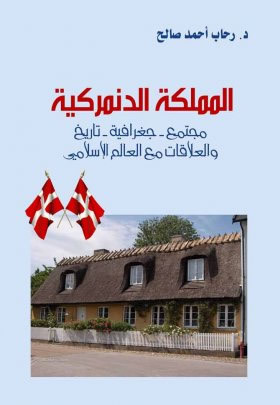 It is only my wish for this book to reach as many people as possible in all the Arabic-speaking countried interested in learning more about Denmark. 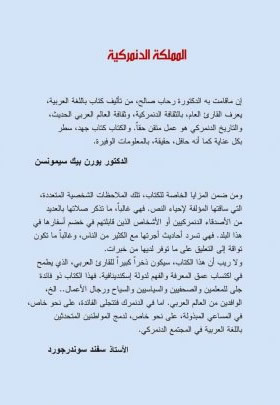 Moreover, the book is meant as helpful tool for any Arab-speaking immigrant in Denmark, as I present their new country and it society in their mother tongue. It is my hope that my book will be received with interest in all appropriate groups.